We all know that the internet has changed the way we do business. After all, today nearly every company has a website, but how many businesses manage to effectively optimize their online presence? 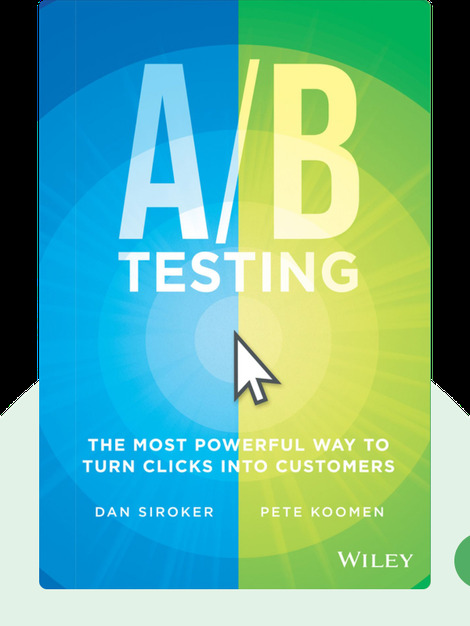 Well, A/B Testing shows you how to develop and refine your website through simple experimentation and evaluation – all to attract more customers and boost your bottom line. Dan Siroker was director of analytics for Obama’s 2008 presidential campaign. He is the co-founder of Optimizely, a platform which helps businesses use data to improve their online presence. Pete Kooman is a former Google employee and the co-founder of Optimizely. 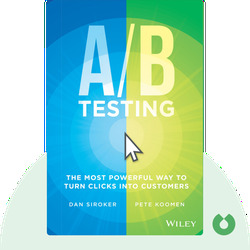 © Dan Siroke: A/B Testing copyright 2013, John Wiley & Sons Inc. Used by permission of John Wiley & Sons Inc. and shall not be made available to any unauthorized third parties.